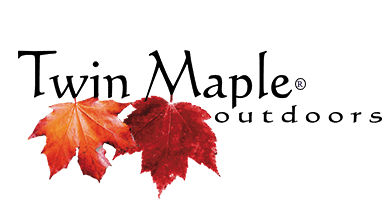 Typically in Maine Ice Out starts in April and by the beginning of May, all the lakes and ponds are ready to start their open water season. 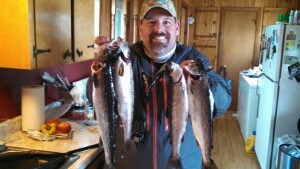 Anglers from all over the state are itching to get their lines wet and partake in an annual ritual of Ice Out. To some, this time of year is almost as special as Thanksgiving! When ice melts off the Belgrade’s, the days get longer and trigger the annual spawning of the Northern Pike. These fish have been introduced and since made a profound presence in all of the Belgrade Lakes. The fish can mostly be found looking for food, but when they are spawning it’s about territory. They become very territorial and will defend the spawning grounds at all cost. The fish can be caught with spin or fly rod with the addition of a steel leader. 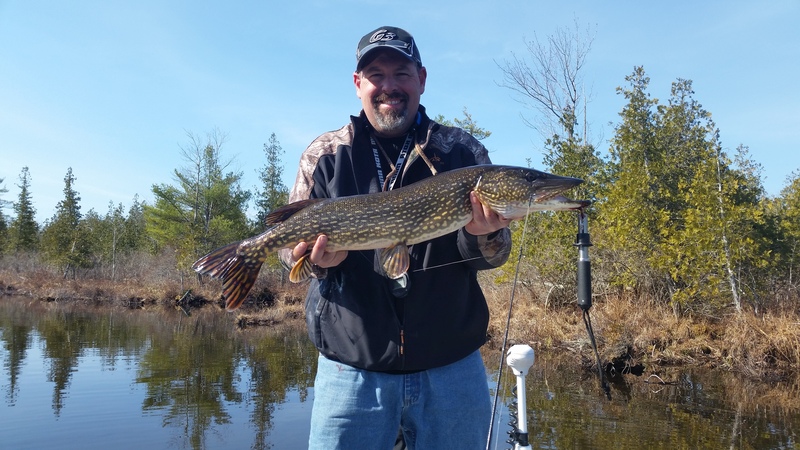 The Pike have very sharp teeth and can cut through mono or braid line very easily. I had recently guided on the Belgrade Lakes for Pike. 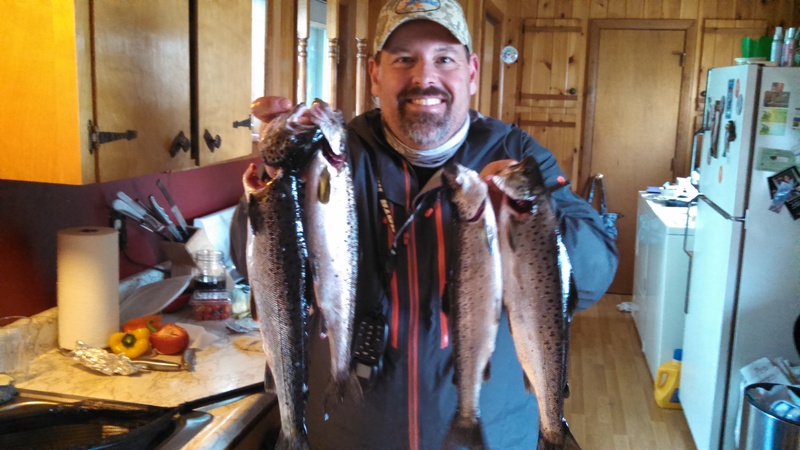 I had the honor of taking out Lindsay Withers friend and co-writer for Coastal Angler – Maine Edition. We had a great couple of days with plenty of Pike action. We caught fish using flies, swim baits, and spoons. The fish were eager and so were we! 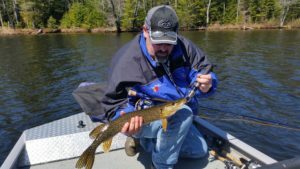 If you would like more information on Pike or you are interested in a Guided Trip, please give us a call at Twin Maple Outdoors at 207-907-9151. There is two-week window in April for targeting these fish during ice out so please call and book in advance! Allot can be said about this species… some positive and some negative. In Maine, this fish has been illegally introduced making a very devastating and traumatic change to an existing indigenous fishery. Once these fish are in favorable waters, they are close to impossible to remove because of the egg laying abilities of these fish. So as our fishery changes in Maine, some exciting opportunities can be enjoyed. But always remember… Please leave fish and Milfoil where you find them. If you suspect anyone illegally introducing fish or Mil-foil please notify the Maine Warden Service immediately. The Viper Series are hard ABS Plastic with Kevlar running down the middle. The Kevlar allows for strength and flexibility. Many of the split lures on the market are metal linked, which causes them to break when the fish twist. Because Kevlar is a fabric, it is absorbent and holds a scent potion well. They have an internal rattle in the head and make a clacking sound when they swim. All Vipers are countdown baits and have the realistic swimming lifelike look, noise and scent. They come with Rosco split Rings and VMC hooks. Fishing the life–like swim baits is productive! 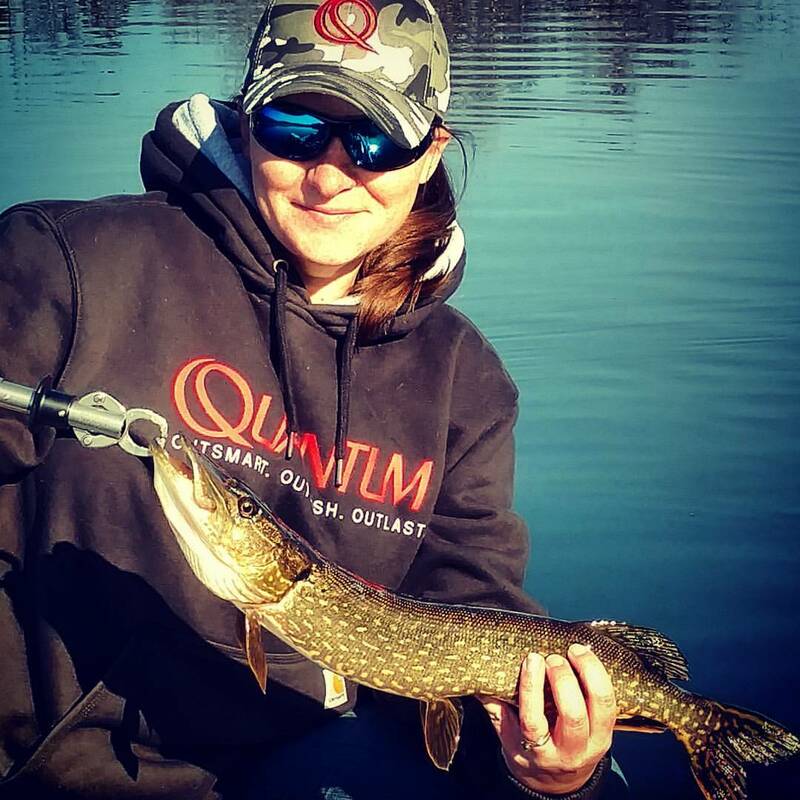 We specifically targeted Northern Pike with the use of a 6” 6” medium heavy ugly stick rod, a Fin-Noir Ahab 8/12 with 12# test FC line and 20# steel leader. Fishing a Daddy Mac 5 “ Golden Shiner swim bait with a pause retrieve method proved to be irresistible to these fish! Fishing and catching Pike I can say we put these lures through a rigorous test. We found these lures not only to catch fish but also not to chip, flake or peel. The Kevlar held up great and did not break. We love these lures! We Rate these lures: 5 stars!